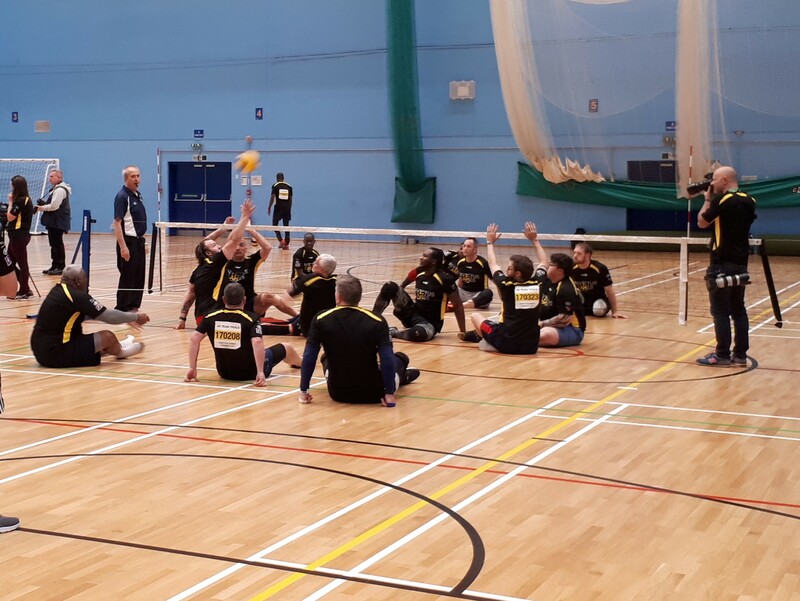 Friday saw the selection event for the UK Sitting Volleyball Team for the 2017 Invictus Games. The Games is an international multi-sport event for wounded, injured and sick service personnel which will take place in Toronto later in the year. The selection event took place at the University of Bath with over 40 people vying to be selected. There was a range of experience within the group from people who had never played through to Great Britain players. I have been working with Volleyball England and Help for Heroes to plan the event and on Friday I supported the Head Coach to deliver the session. After an hour of training in which the experienced players were put through their paces and beginners were introduced to the game, we created teams and played some matches. This was an opportunity to review their ability and begin to make decisions about possible selections. Overall the standard of play was really impressive and the enthusiasm of those taking part made it very difficult to narrow down the players for selection. Following the session we reviewed the all of players and made recommendations to the selection panel who will consider their playing ability alongside other things such as how the event will support their recovery.